THOUSANDS of race packs will start being sent out to Admiral Swansea Bay 10k runners from next week. The race packs include a race day guide, personalised race number with electronic time-recording chip on the back and details on how to collect the 2018 tech t-shirt. Entries for the annual race, which takes place on Sunday September 16, close on Friday August 31. Swansea Council is behind the event, which is being sponsored by Admiral for the twelfth consecutive year. As well as the 10k, there are also 1k, 3k and 5k junior fun runs, along with a 10k wheelchair race. About 5000 people are expected to take part again this year. Cllr Robert Francis-Davies, Swansea Council’s Cabinet Member for Innovation, Regeneration and Tourism, said: “With a backdrop of so much beautiful scenery, it’s no surprise running is part of the rich culture of our city. 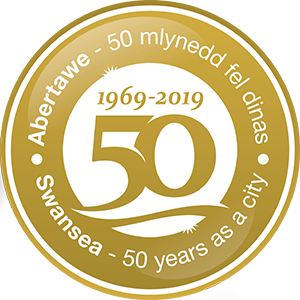 Cllr Francis-Davies said: “An exceptionally popular feature of Swansea’s annual events calendar, the Admiral Swansea Bay 10k is a terrific race for elite athletes, charity fundraisers and people looking to tackle their personal bests or conquer personal fitness goals. “Set against the iconic sweep of Swansea Bay on a flat course, this award-winning event also includes junior races for children, which give a great introduction to road-running. “With entries closing at the end of August, I’d urge anyone interested to enter this year’s event as soon as possible to avoid disappointment because the race always reaches capacity, often before the closing date. A mascot race is also taking place on the day of this year’s 10k, so entries are invited from groups, organisations and companies looking to win the £100 on offer for the winning mascot. 10k: £23 affiliated / £25 non-affiliated. All entrants will receive a tech t-shirt. All finishers will receive a medal and goody bag. Junior Races: £7. All entrants will receive a tech t-shirt. All finishers will receive a medal, certificate and goody bag.